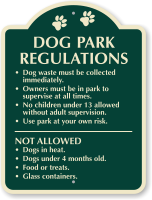 Post our Signature sign at your dog park to inform patrons they need to pick up after their pet. 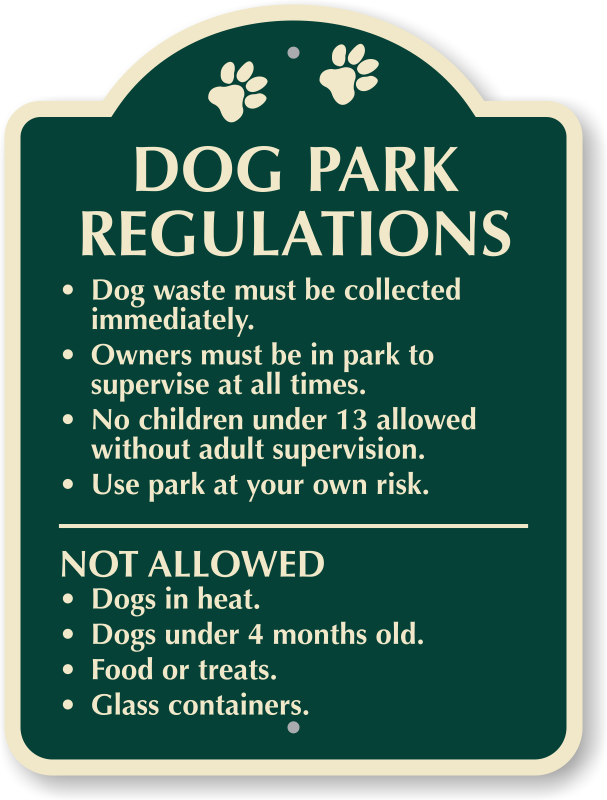 Enforce your policies in style with our architecturally-designed signs. Sign is printed on thick aluminum that withstands tough whether conditions. 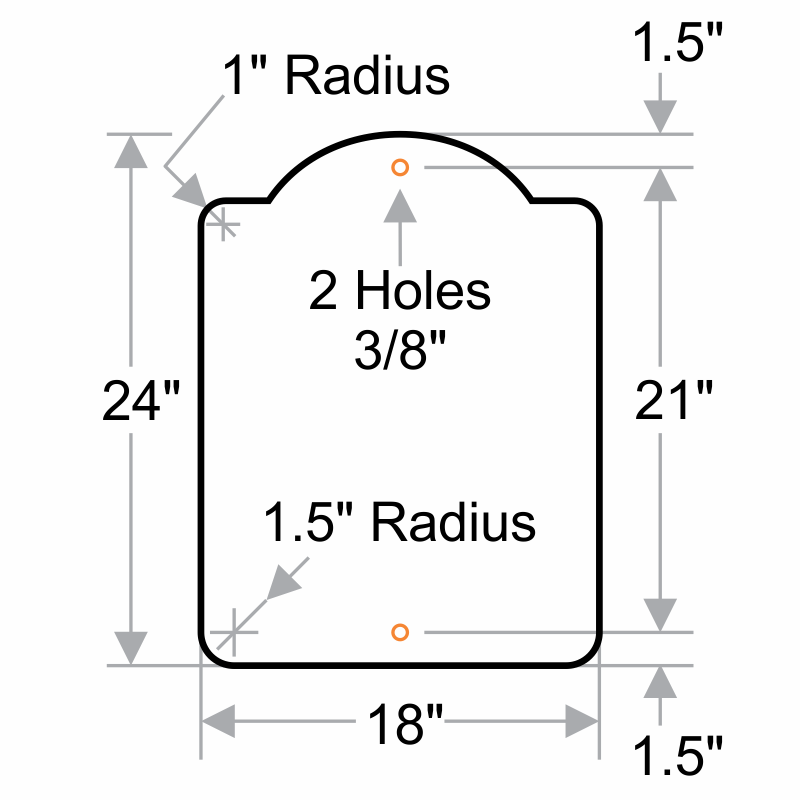 Pre-drilled holes are included with the 24" X 18" sign.